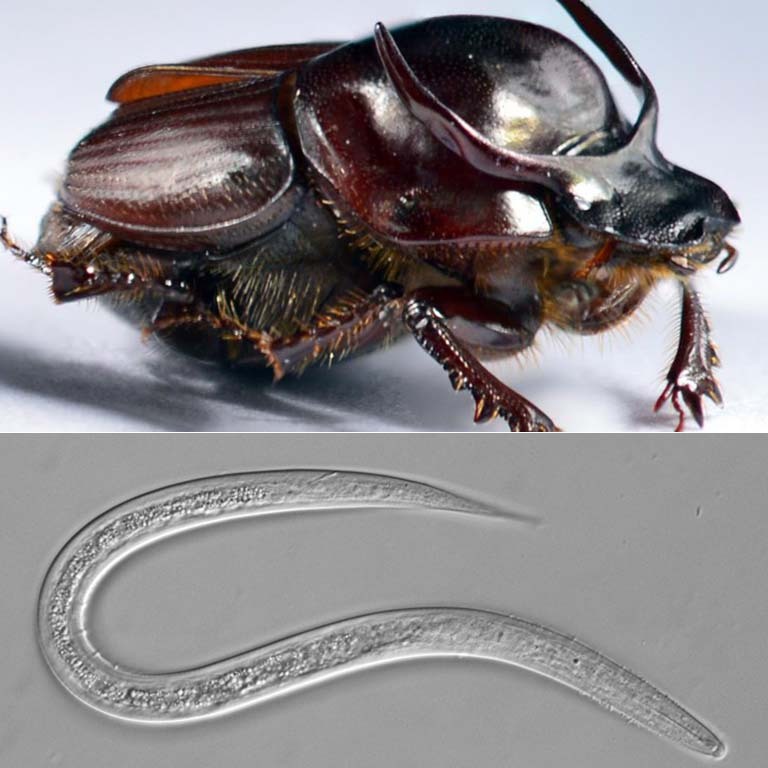 Cris Ledón-Rettig, an assistant research scientist in the IU Department of Biology who studies dung beetles, found that the beetles (Onthophagus taurus) carry tiny worms—specifically, one particular species of nematode (Diplogastrellus monhysteroides)—in their genitalia. Nematodes' associations with insects often have negative impacts on the insects. Erik Ragsdale, an assistant professor in the department who studies nematodes, suggested that the worms could also be harmless hitchhikers. I asked if they could be beneficial,” Ledón-Rettig says. “He said that it was certainly a possibility given how common insect-associated nematodes were. There just wasn’t functional evidence for it. So Ledón-Rettig found some evidence. Through her research, she discovered that when the nematodes (which are transgenerationally inherited and sexually transmitted by the dung beetles) are around, beetle larvae grow faster and eventually transform into bigger adults. The nematodes alter the bacterial and fungal communities in ways that benefit their beetle hosts. Ledón-Rettig’s work illustrates that nongenetic inheritance can include intermediately sized organisms that live and proliferate in close association with, and in certain cases enhance, the development of their hosts’ offspring. Learning how the nematodes engineer the microbiome may provide insight into ways to influence human health. Learn more: Ledón-Rettig's discovery of nematodes benefitting dung beetles was highlighted in The Atlantic. A paper about her work has been published in PNAS. 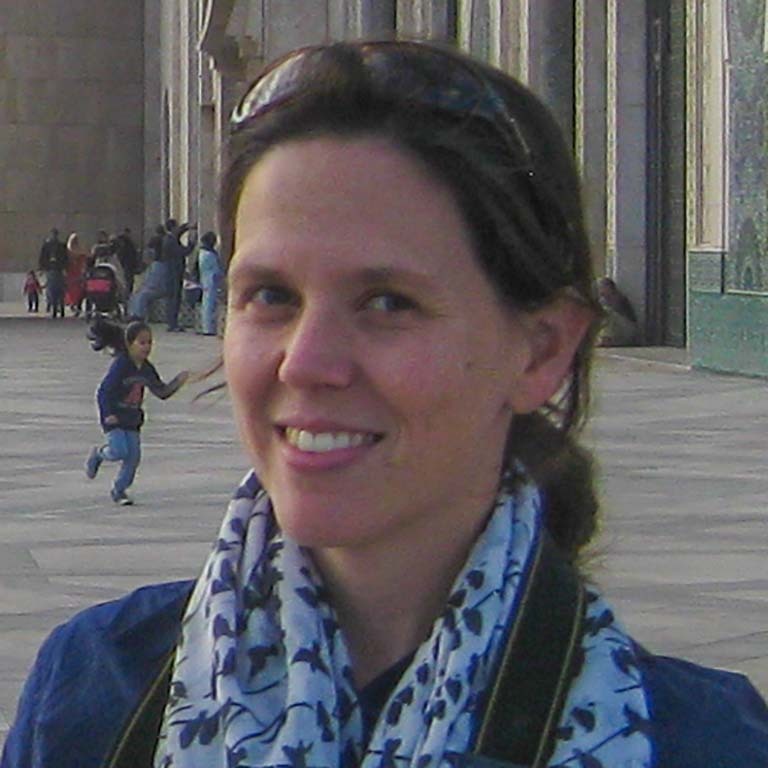 Listen as Cris Ledón-Rettig discusses her research on NPR's Science Friday.